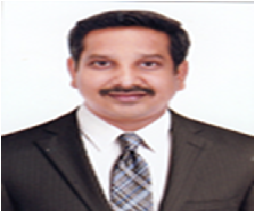 Dr. U. Devasenadhipathi has completed Bachelor’s degree in Economics and M.S. degree in Applied Econometrics and M.Phil. degree from Pondicherry University. He has obtained Ph.D. from Pondicherry University, where he worked on Gender- wise Analysis of Socio- Economic Causes and Consequences of HIV/AIDS. Prior to taking teaching as a career he was associated with Ashoka Trust for Research in Environment & Ecology, Bangalore as Senior Research Associate- level II. He has few publications to his credit.